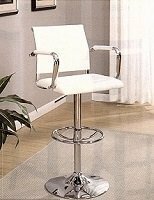 Adjustable Leatherette Swivel Bar Stool . 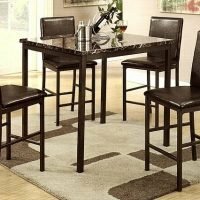 Home > Dining Room > Counter Stool > Adjustable Leatherette Swivel Bar Stool . 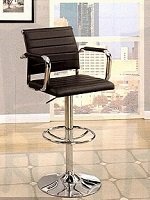 This height adjustable leatherette swivel bar stool is unique with its padded seat and low back design. Comfortable and pretty, it’s a piece you would want to have in your home. Available in black and white. SKU:N/A. 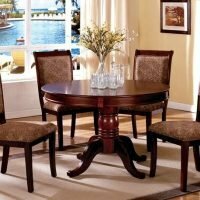 Categories: Dining Room, Counter Stool. 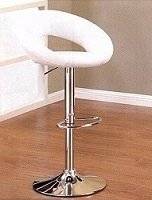 This height adjustable leatherette swivel bar stool is unique with its padded seat and low back design. 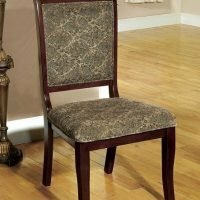 Comfortable and pretty, it’s a piece you would want to have in your home. Available in black and white. for free local Delivery Please call us at (818) 912-9815. 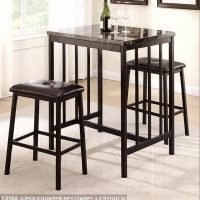 Industrial bar-height table Set of three. Counter Stool , Strong , Beautiful, Modern.